Mya Lamar's sophomore season for Strawberry Crest is productive. 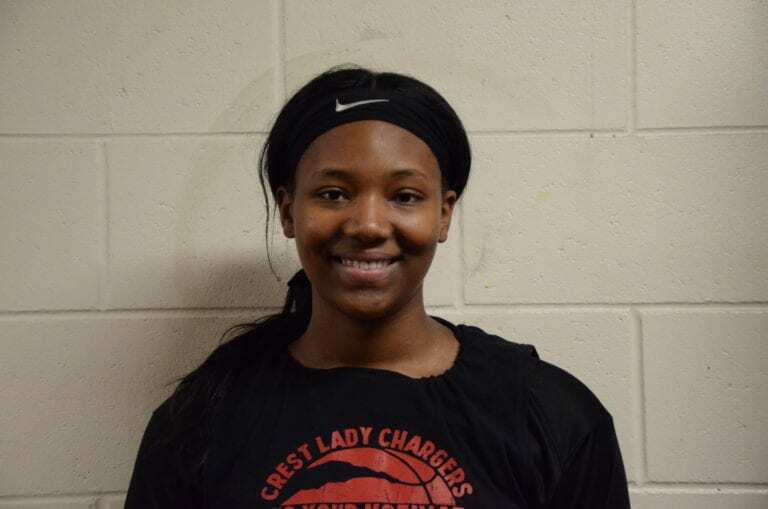 Strawberry Crest’s girls basketball team is enjoying a successful 2019 season with a, 18-4 (10-2 district) overall record and sophomore Mya Lamar has been one of the most important factors for Crest’s solid play. Lamar, a sophomore forward, leads the team with 9.2 rebounds and 2.2 blocks per game and is also making a team-high 50 percent of her field goal attempts. Lamar recently finished with 16 points, nine rebounds and two steals against Newsome on Jan. 25 and celebrated her 16th birthday on Tuesday. It looks like things are still going well for the Chargers this season, but how are things going from a player’s perspective? This season’s going really good. I can’t wait until districts. You obviously know the team well. What would you say makes Crest a tough opponent? I feel like we’re gonna go all the way. We work really hard. We’re coming for every team that’s coming for us. We’re good at fast breaks. We get down the court really fast, score quickly and get back on defense. What do you bring to this team? I’m good at posting up and scoring easy baskets. Where have you improved the most since last season? I would say my confidence because at first, I was scared to make a move and shoot it. That was one of the biggest things I had to work on coming into my sophomore year. It can be tough for younger players to find their confidence in the first two years. What could other freshman and sophomore players learn from you about building it up? Just work hard every single day and don’t let anybody tell you that you can’t do it. Was there a turning point for you there, like a game where you did something you realized you couldn’t have done before? I think we played against East Bay my freshman year. I was the biggest (player). I scored 21 points and I was like, “Whoa, I’m big, I can do this every single game.” I like the hype. I like everybody congratulating me. What’s been your favorite moment with the team? Our wins. After putting in hard work, just being together is like a sisterhood. That’s the best thing, being together as a sisterhood and congratulating each other on everything that we do.